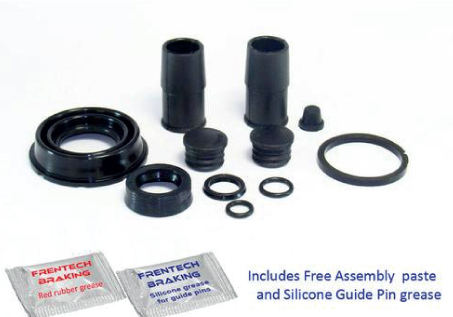 This image shows a repair kit for a rear ATE (Teves) brake caliper. Rear calipers with built in handbrake mechanisms can be a little tricky and often require specialist tools. Youtube can be a great source of instructional video’s but if you are not sure, contact your local garage.